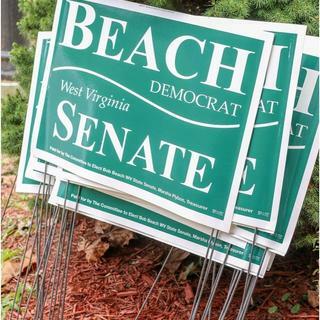 Political Cardboard Yard Signs, Double-Sided, Frame Included, 16" x 26"
Your campaign or message is sure to grab the attention of voters with these cardboard yard signs! The patented design uses glue instead of staples for a simple and effective sign. Simply slide the sign over the companion wire frame and you're on your way. I searched for companies that make campaign signs with the union bug. R the frames purchased seperately? BEST ANSWER: The frames are included with these.